When local woman Malebogo Segokgo* met Nigerian hunk Stephen Afamefuna* five years ago, all she felt was love. They looked beautiful together and he had all the right features of her dream man: Tall, dark, handsome and prayerful. Actually, they met at one of the popular charismatic churches in town. Afamefuna did not take long to marry Segokgo. Within seven months, she was already his wife. It was not too long until her husband asked her to help him apply for his residential and business permit, something she did without any hesitation. A nurse by profession, the wife says she also took P300 000 loan from one of the commercial banks for them to start business together. Sadly, their marriage has ended and Segokgo feels her Nigerian ex-husband used her to settle in Botswana. And she learned later that he is actually married back in Nigeria. Segokgo says the redflags were there from the start but she chose to ignore them. She explains that her uncles and aunts were not pleased when he chose to bring his Nigerian friends and business friends for Patlo instead of his family from Nigeria. “One of my uncles suggested we wait a little bit but I didn’t listen, especially since we had already set our wedding date,” she says. Within two years into their marriage, her ex-husband was already staying with another woman and had rejected her and their newly-born baby. “When I went to inquire at our business office, I learned that he had found another woman,” she says. She is not the only Motswana in this predicament. Another victim says that she was suspicious when after the wedding her husband did not take her to Nigeria as promised. 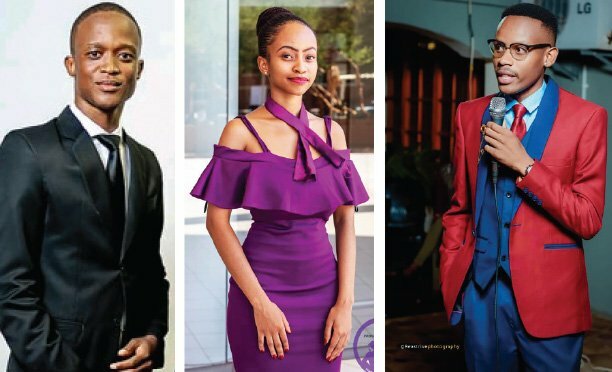 “We had the first leg here in Botswana and we were supposed to go and meet his royal family in Nigeria and discuss the second leg of the wedding which we had agreed to have after five months,” she says, adding that in their two years of marriage, she had never visited her husband’s family. These are just some of the many cases that Detective Senior Assistant Commissioner Nnunu Lesetedi spoke about in an interview with The Midweek Sun. 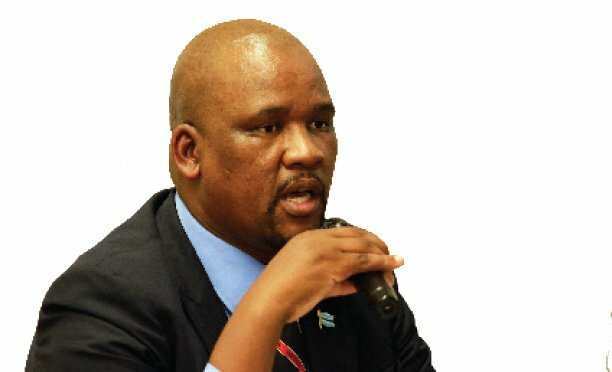 He says that some foreigners have found themselves a good way to enter Botswana and do business, and that is, by marrying gullible Batswana women. He tells The Midweek Sun that Nigerians especially, are using women to operate businesses in the country. What worries him, he says, is that they marry them quickly and dump them within a short period of time. “They come here with the strategy in place because they know marrying our women would make it easier for them to get residence and work permits,” he says. He tells this publication that some Nigerian men married to Batswana women are still married with children back home, which they never disclose to the Batswana women. In one of the incidents, Lesetedi says they found out that two Nigerian men had left their families in Nigeria and married in Botswana again. He says they then left the Batswana women without legally divorcing them and continued running their businesses alone. “We have a case whereby one Motswana woman was neighbours with her Nigerian husband, and didn’t know it since 2003,” he says, adding that the wife was shocked to find out. Another woman from Mochudi was brought before her husband who left her for over five years without a word. “All this is pure marriage of convenience and we won’t tolerate it anymore. Working in the country illegally is also wrong because they don’t pay tax,” he states. Bigamy, the act of marrying more than one woman is an offence under the Laws of Botswana in Section 13 of the Marriage Act. Should a man want another wife, he must first divorce the first one. “No person who has previously contracted a marriage under this part with a person still living may contract a marriage under this part or in accordance with any customary, Muslim, Hindu or other religious rites unless the previous marriage has been dissolved or annulled by a sentence of court,” reads the Act. The reality about fraudulent marriages Last year, South African government planned to crack down on dubious marriage proposals, warning that couples could face 15 years in prison if they are involved in a fraudulent marriage. According to SA’s Home Affairs ministry, there are rising numbers of South African women who are selling their hands in marriage to foreigners seeking residents’ permits. These men pay the women between R500 and R2 000 a month to be their ‘wife’ for them to get permits. Hundreds of fraudulent marriages take place every year in Canada too. Citizenship and Immigration Canada acknowledges roughly 1,000 such cases are reported annually. In 2009, nearly 45,000 people immigrated to Canada as spouses. *Malebogo Segokgo not her real names, used to protect identity of victim.